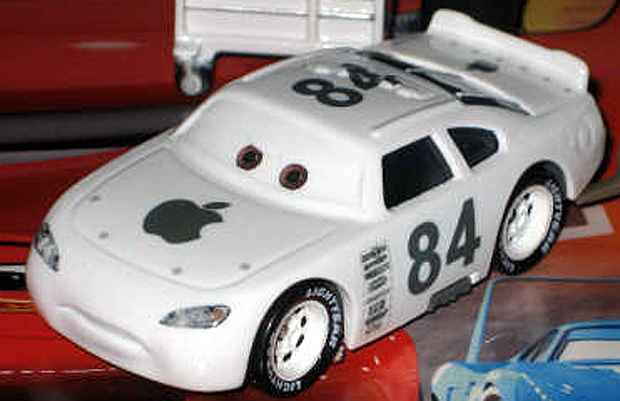 For Her Winning Entry … Grand prize – a Custom APPLE Mac iCar generously donated by Carssneaks. Thanks Chuki Mama … this chant sounds vaguely familiar … is it 100% original, right? And for those who question the power of CARMAS … Chuki_Mama donated an N20 for the CARS CARES auction that Martin Arriola will be signing. The judges did not know this and was not influenced by this as she only contacted me about it (I did not participate in the judging), but as others have noted – you give and you get … so thanks and a well deserved winner! Bring on the CONEtest!!! Thanks everyone…these are SOOO much fun!! Where’s the PirateDAD CONEtest? What CARs treasure has he recently acquired? Congratulations chuki_mama. Enjoy your delicious Apple! Great work chuki_mama! And thank you Carssneaks for an awesome contest! Gonna be hard to top this one as far as prizes go. Congrats! Wish I could send you a “Free Gifts” thingy like on FB! B R A V A !!!!! Congrats chuki_mama! I’m glad to see the prize go to a very deserving winner! Congratulations! And how generous you are, Chuki-mama! I am so glad Chuki-mama won! She is a well deserved choice by the judges. Great entries by all!! Gonna have to change your name to Granny Smith now…did you read the fine print of the rules??? Can I have a bite?? 3-6-9 CHUKI_MAMA DRANK WINE 1-3-5 CHUKI_MAMA WAS CAUGHT DOING “55” 8-6-4 MEGAHEATS OUT THE DOOR 10- LETS DO IT AGAIN…..”CONGRATULATIONS” CHUKI_MAMA”,NOW CAN I BITE YOUR APPLE? congratulations!! there were stacks of good entries there. as always great for a laugh. This award is VERY well-deserved!! Congrats chuki_mama! !